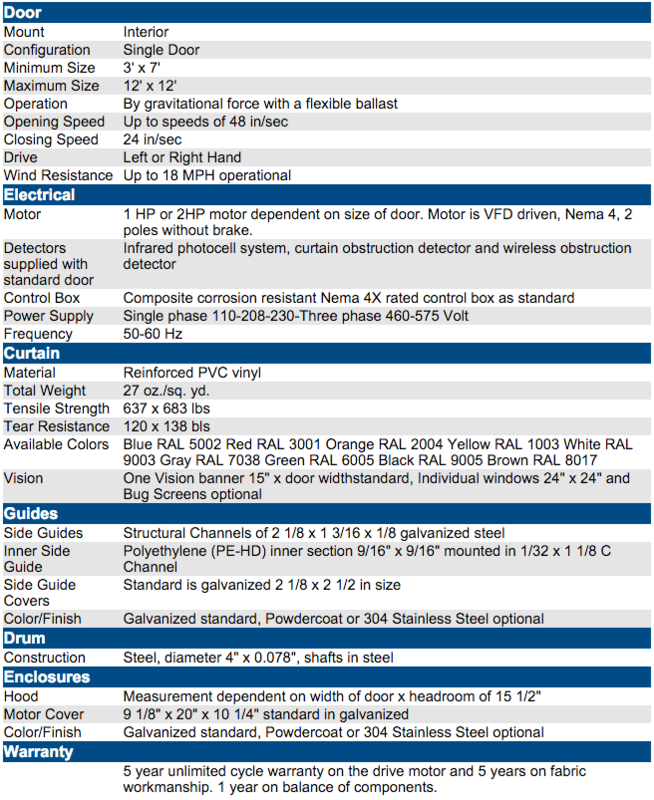 RapidCoil RC200 | Dock Door Systems Inc.
RapidCoil fabric high-speed doors utilizes the industries best sealing technology which gives an extremely tight seal against wind, rain and contaminants. 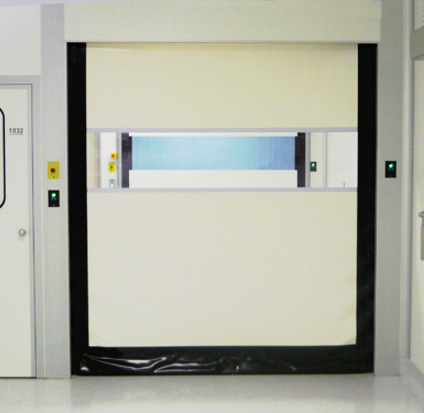 RapidCoil doors, depending on size, can open as fast as 8 feet per second in some applications. By combining a tight sealing door with high speed operation, a more energy efficient environment is created, which can decrease operating costs in manufacturing environments. The RapidCoil line also features a soft bottom edge, photo eyes and reversing edge across all models, adding an uncompromising safety factor into the entire line. RapidCoil High Performance doors are available in a variety of colors with multiple vision options and activation methods. The RC200 provides a high tech, safe, and aesthetically pleasing door for the demanding customer. The RC200 combines advanced control and drive technology with proven bead technology for ultra-smooth, ultra-quiet operation and an ultra-tight seal. The ultra-tight seal is ideal for clean and dry room environments. Incorporating Logix controls, with a variable frequency drive, the RC200 provides the customer maximum performance, flexibility and self-diagnostic capabilities. The bead technology and reinsertion device allows the door to be impacted and reinserted with the push of a button. All metal components come with a galvanized finish for durability and resistance to typical manufacturing environments.